The New York Film Academy Café brings the best of the city of New York to Amsterdam. 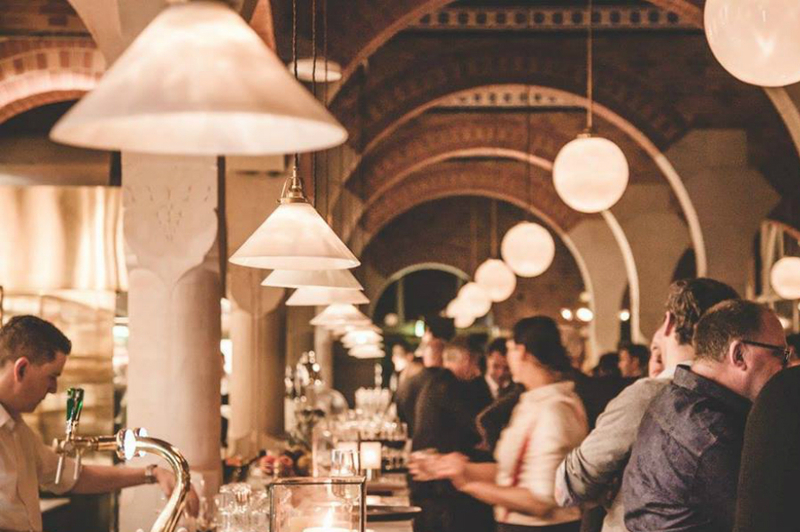 This restaurant and bar is located on Damrak, right in between Amsterdam Central Station and the iconic Dam Square. Their all-day menu offers a wide selection of modern brunch and dinner dishes, delicious bar bites and tasty beverages with a New York twist. The already great ambiance is enhanced with weekly live entertainment evenings by local artists and musicians. At this café you’ll get a little bit of Amsterdam mixed with the cuisine you would find in New York. American Pancakes, Bagels, Club Sandwiches, Hot Dogs, Burgers and Salads, using classic tasty ingredients. We like menu’s like this. Two cheesy favorites are the Tuna Melt Bagel and the Deli-Style Mac ‘n Cheese with parmesan, cheddar and BBQ broccoli. The Classic New Yorker Meets Amsterdam is a win on the burgers. The beef burger comes with cheddar, crispy fired onion rings and grill sauce. If you really want to go all in, get one of the Freak Shakes to go with your meal. These over the top Milk Shakes come with add-ons like Oreo cookies or Salted pretzels & Nutella. Jum! After dinner it turns into a lively café with locals, musicians and artists gathering over drinks. The beverage list is extensive, offering over 20 different cocktails and Gin&Tonics and a wide selection of soft drinks and beers. So whatever the time or occasion is, you’ll be sure to have a good time here. Have a look at their agenda for all events to come. Monday - Thursday 10:00 a.m. – 9:00 p.m. Friday - Saturday 10:00 a.m. – 11:00 p.m.